What makes KSA Martial Academy so different than other Martial Arts Schools? Our curriculum was created and is run and supervised by a core group of Martial Artists, headed by Tae Kwon Do, Aikido, Jeet Kune Do, and Filipino Martial Arts Instructor Cat Fitzgerald Sensei – with over 40 years of Martial Arts experience and over 30 years of teaching experience. Only experienced, KSA Certified Instructors lead class. We offer traditional and modern Martial Arts Training tailored to meet your goals. Our programs are created by leaders in each field, including an Elite Olympic and Pro Athlete Trainer, LEO and Special Operations Personnel Close Quarters Combat Instructors, and one of the highest ranked Tae Kwon Do Black Belts in the country, as well as the worldwide Director of the Goju-Shorei Weapons System. We offer a wide range of diverse, yet complementary programs to choose from. 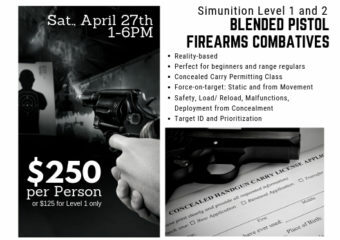 We offer programs that are valued by Military, Law Enforcement, and Civilians, including Simunition (Coming Soon), ASSERT Empowerment and Self Defense, Military Spec Ops Kali and JKD, Rapid Assault Tactics, Injury Prevention and Rehab, and Olympic, Amateur, and Elite Athlete Training. Certified Instructors that provide specialty programs/classes in flexibility, sports coaching, personal empowerment, and goal setting and achievement.